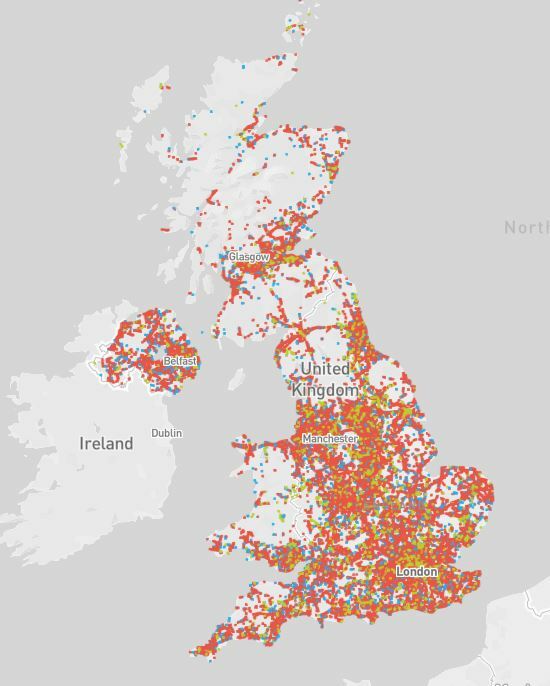 Tutela collects mobile network connectivity and performance metrics from more than 2 million mobile devices in the UK running our software, allowing us to monitor mobile network quality in real-time. 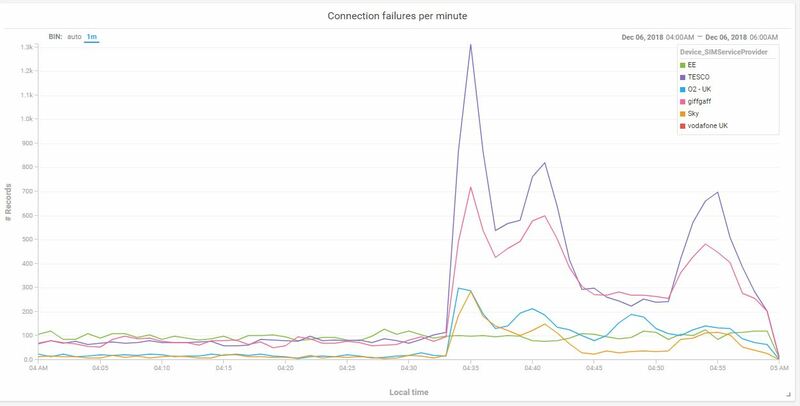 We saw a massive spike in devices reporting an "unknown" connection type at 4:34am compared to other operators. It is typical for us to see a number of these connections per operator, since some devices will be out of service coverage areas, however this spike is significant. There appears to be some temporary recovery throughout the day at different times. Analysing connection types shows that all connections dropped at the same time. This was not just limited to 3G and 4G networks. We saw a massive increase in data connection failures across all of the UK on O2's network. Red points indicate connection errors. Comparing the total number of connected users per day to the average for the previous week and also comparing to other operators from today, we saw a drop of over 90% compared to benchmark, indicating that most, but not all users were affected. Tesco Mobile, Giffgaff, Sky and Lycamobile went down at the same time.